Hold on to your controller, this one's going to get bumpy. 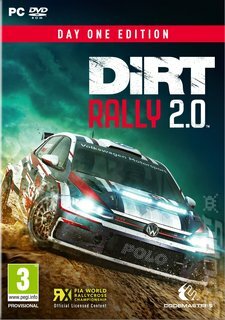 If you watch DiRT Rally 2.0 closely you might just see flecks of dirt flying up on the track around you but, frankly, the chances are that if you do you'll probably wrap your car around a tree. That's the level of both the game's visual fidelity and it's breakneck pace. The world around you judders, as does the pad between your fingers, while you wrestle desperately to just barely keep your car under control. It would be great to enjoy the scenery, but you'll be too busy riding the outer edge of your car's specs for any of that. This is the official game of the FIA World Rallycross Championship presented by Monster Energy, so Rallycross is back in the mix. With straight-up rally you careen solo around the track while your co-driver barks directions in your ear, aiming for stretches of perfection amidst the chaos. In Rallycross you're on a track with a bunch of other cars, doing multiple laps - it's confrontation and iteration, giving you the chance to hone your lap. One cool new feature is borrowed from one of DiRT's old stablemates at Codemasters, Racedriver GRID. This time, DiRT gets a team manager mode to tie the career mode together. You'll hire staff, buy vehicles and set liveries in between deciding which event to race next. It offers structure and narrative that some critics have argued was missing from the last series outing. 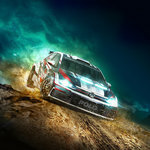 DiRT Rally 2.0 is a game that really builds on its predecessor to create a down and dirty racing sim.